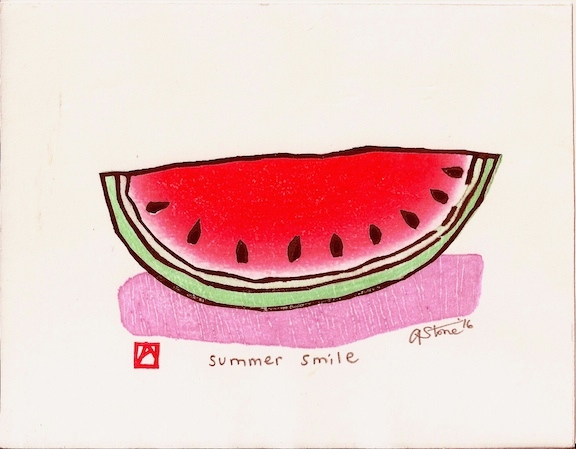 Summer Smile, moku hanga-watercolor woodblock print. 5"x7" 2016. There is so much that I meant to do before it got hot. And so much to do before I leave again. I can't even begin to make a list. 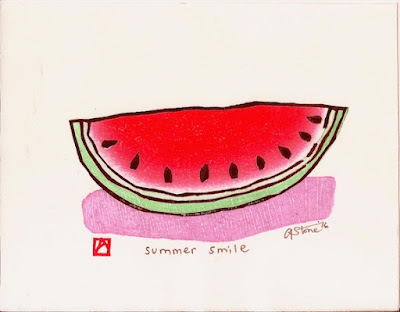 But it's already too hot. I sit in front of a table fan and wait for the sweat to evaporate and my head to clear.